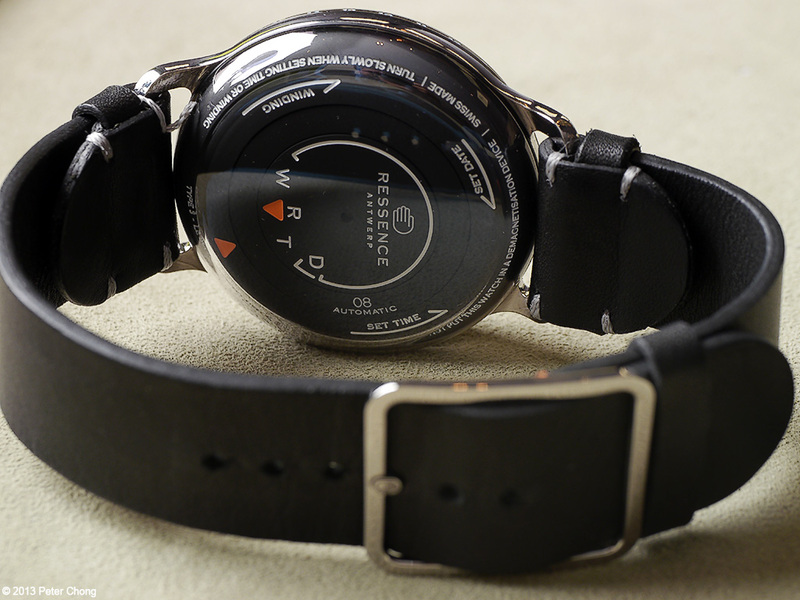 Ressence is one of the new brands who seem to have sprouted out of nowhere with innovation burtsting from their ears. 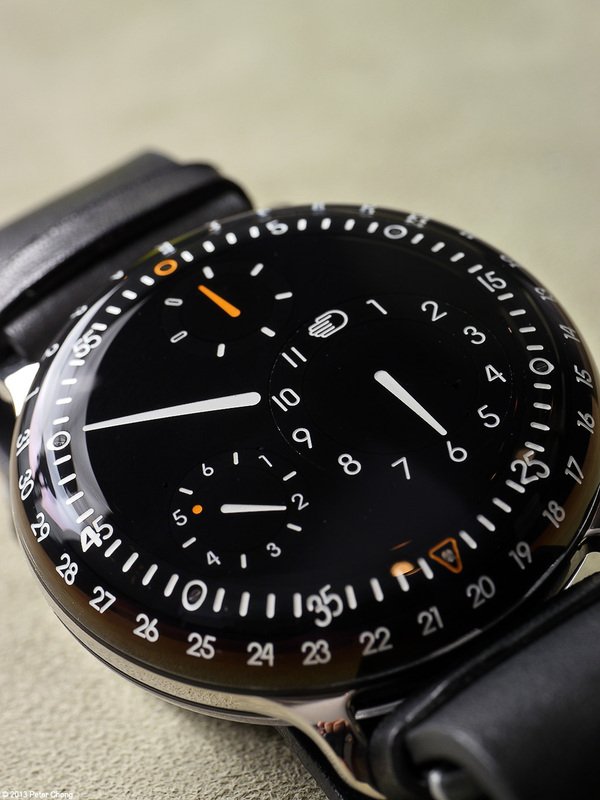 Their concept of a watch with wandering dials suspended in a fluid that refracts light like the air, so the orbiting indications appear to be on the crystal. As usual, technical information, and the video of how this amazing time piece works can be found at the official website here. The watch is indeed rather handsome, with the individual sub-dials, each rotating around the main dial, while the hands on each of these sub-dials also move in concert to indicate the day, hours, minutes, seconds and date. The time telling system is rather ingenious, though non-intuituve at first glance, is learnt easily enough, and becomes second nature within a few minutes. 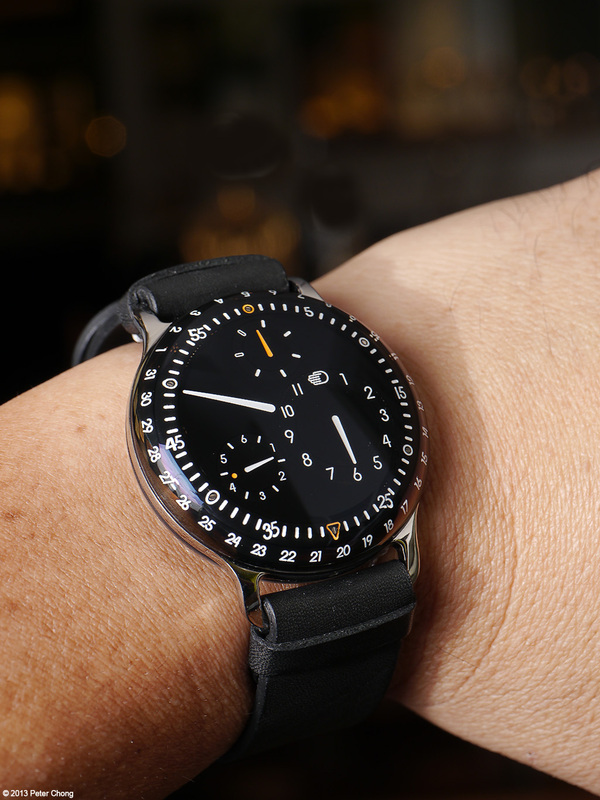 Interesting that Ressence chose not to encumber the dial with all manners of type, as many other manufactures are likely to do...advertising the USPs of the watch, but chose to retain a clean, Bauhaus like design. Even devoid of the brand name, electing only to show a little icon of a stylised palm symbolizing the brand. 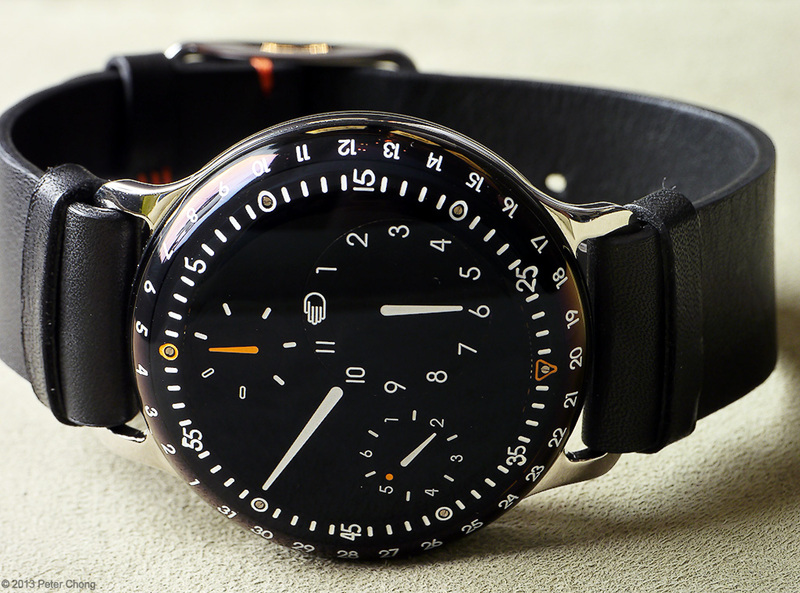 The earlier Series 1 watch looks more conventional with a regular crown, but the Type 3 shown here is sans crown, with the time setting and winding functions relegated to the caseback. On the wrist, the watch is very light, and very comfortable, in part due to the very flexible, soft leather strap, but with one near fatal flaw. The buckle is designed such that the part which is used to pierce the openings in the strap has a strange kink in it, making it very difficult to open the buckle. I guess this does make it less likely for one to accidentally open the buckle and drop the watch, but it also makes taking off the watch a rather tedious process. 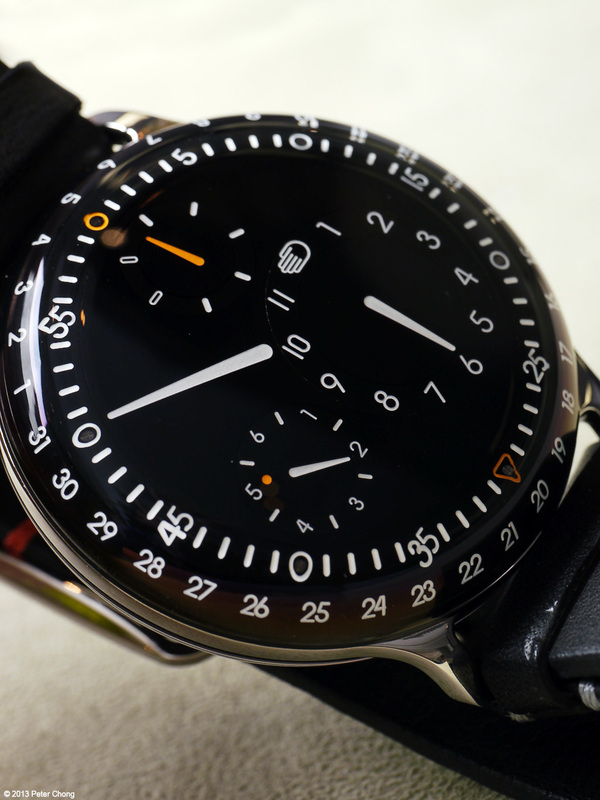 One of the winners of GPHG 2013, this watch is rather interesting and attractive.